Nidhi Prakash, "The forgotten history of Chinese immigrants in this Mexican border town," Fusion, October 13, 2016. http://fusion.net/the-forgotten-history-of-chinese-immigrants-in-this-mex-1793862816. The thesis known as “Racial democracy theory” (also referred to as Iberian exceptionalisin) argues that, relative to the United States, the nations of Latin America are largely free of the ferocious racial prejudice that has characterized race relations in the US for most of the 19th and 20th centuries (see Degler, 1986: Freyre 1951: Hoetink, 1967: Pierson, 1942: Tannenbaum, 1947). Racial democracy theorists base these conclusions upon the fact that, compared to North America. 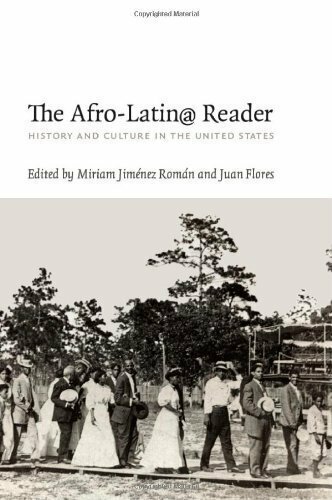 the nations of Latin America experienced a marked absence of post-manumission institutionalized racism (e.g.. segregation & Jim Crow laws), a general absence of race-based group violence (e.g.. lynching, race-base hate crimes), or racial protest, and a strikingly high rate of miscegenation. It is argued that, the extent to which racial inequality is still discernible in Latin American societies, this inequality is almost exclusively due to the residual effects of past racially contingent resource allocation and not to the effects of ongoing racial prejudice. This study explored the nature of racial hierarchy and the connection between racial identity and Dominican patriotism using a questionnaire given to an in situ sample in the Dominican Republic. The analyses compared the contradictory expectations of the “racial democracy” (or “Iberian exceptionalism”) thesis and social dominance theory. Results showed that despite the very high level of racial intermarriage in the Dominican Republic, there was strong evidence of a “pigmentocracy,” or group-based social hierarchy based largely on skin color. Furthermore, despite a slight tendency for people to give slightly higher status ratings to their own “racial” category than were given to them by members of other “racial” categories, this pigmentocracy was highly consensual across the racial hierarchy. These results were consistent with the expectations of social dominance theory. However, in contrast to similar analyses in the United States and Israel, these Dominican findings showed no evidence that members of different “racial” categories had different levels of patriotic attachment to the nation. Also in contrast to recent American findings, there was no evidence that Dominican patriotism was positively associated with anti-black racism, social dominance orientation, negative affect toward other racial groups, or ethnocentrism, regardless of the “racial” category one belonged to. These latter results were consistent with the racial democracy thesis. The theoretical implications of these somewhat conflicting findings are discussed.